We were able to sit down with ZAXX last week and chat about some of the coolest moments of his young career, how he got started DJing and even what his parents make of his incredible success. If you haven’t heard of him, you’ll need to stop reading this and go listen to a few of his tracks, then come back knowing how awesome this young producer is. I’d like to thank ZAXX for taking the time out of his busy schedule to answer these questions! Good luck this year and we can’t wait to see what’s in store! -Please introduce and tell us a bit about yourself? My name is Greg Zaccagnino, people usually assume my first name is Zach because of my DJ name, but I’m just a 17-year-old kid from Staten Island, NY who loves making music! -What made you want to start DJing/Producing and what or who were your early passions and influences? My three biggest influences in becoming a DJ/Producer were definitely Martin Garrix, Tiesto, Skrillex. I’ve been listening to this music for years now and I’ve always been intrigued with it. -How do you feel about being a younger producer in this scene? It has its pros and cons. I’m not even allowed to legally enter a lot of the clubs I’ve played, but being young has given me some more time to develop my sound. -Your style is fairly unique. Was it something you developed purposefully, or did it come naturally? It kind of just flowed naturally, I always had an idea of what I wanted people to feel when they listened to my music. -Do you have a favorite moment since you started producing/DJing? My favorite moment was probably going to EDCNY with Martin Garrix and spending those few days with him and talking music. 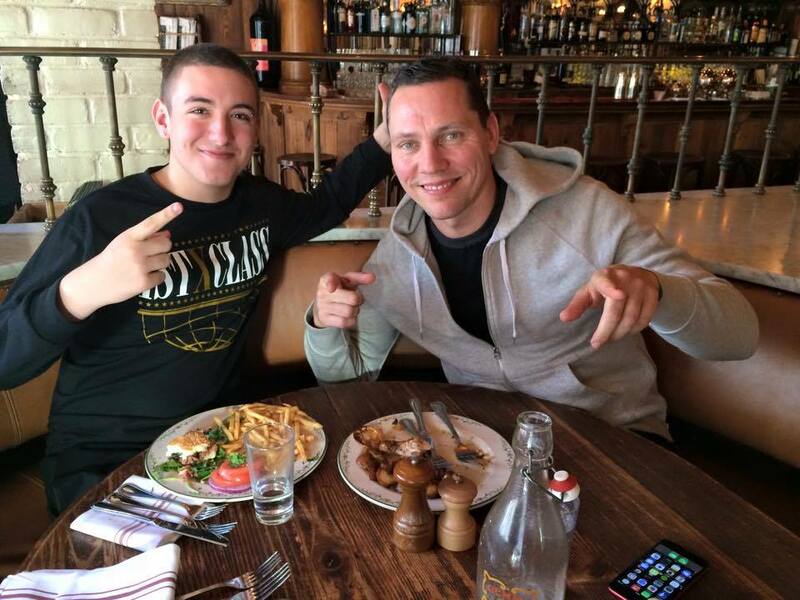 It was really cool to be the special guest for Tiesto’s show at LAVO last month as well! -What is like to open for Tiesto and be in contact with him? Opening for Tijs was an amazing experience and being in contact with him is even better. It’s very cool to have him as a mentor. -What did your parents think originally when you were producing and DJ’ing? They didn’t really think anything of it. I was always the type of kid who would become obsessed with different things. Before I was a producer, I wanted to be a Marine…funny how stuff changes. Now they’re super hyped with how everything is going! -What is your dream gig? Any major festival honestly. But if I had to choose, it would be EDCNY. -Do you have any advice for other DJ / producers? 2015 is gonna be a big year! New music, huge collabs, and a lot of great shows. Stay tuned!